Siren Comms won big at the 2018 TTG Awards last night, scooping the trophy for PR & Representation Company of the Year, and sharing in the glory of victories for Celebrity Cruises and Gold Medal / Travel 2. The award, which is selected by an expert panel, is given to the agency which is judged to have done the most for the UK travel industry. Siren’s entry focused on its ‘Celebrity Love Island’ campaign delivered for Celebrity Cruises during the peak WAVE period earlier this year, which married the twin travel agent obsessions of reality TV and social media to create the perfect sweetspot in which our client could leverage its ‘love’ for this critical sales channel. We were tasked with increasing agent engagement, and exceeding a sales target of 21,000 booked passengers. With no additional budget, and by deploying a ‘Facebook-first’ strategy with video at its core, we’d help to drive more than 23,400 passenger bookings (+11% over target and +20% higher than the same period 12 months prior) by the end of the WAVE period. Moreover, revenue was £2.5m over target. Our Facebook content itself garnered over 16,000 views of the launch video and nearly 30,000 views of the campaign films during the WAVE period itself. That equates to an 855% increase in video views, a 710% increase in post engagement, a 189% increase in page reach and a 59% increase in page likes year on year. 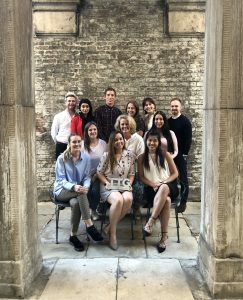 It’s been a big 12 months for Siren Comms_, with senior hires, exciting new client wins, a new identity and website – we’ve even moved offices. Last night’s award is a testament to the whole team’s hard work, and is the perfect platform to accelerate our momentum in to 2019!